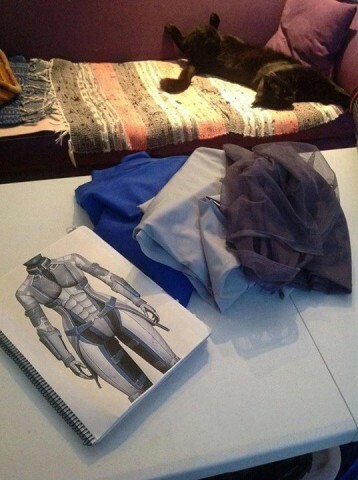 Impressive Liara T’Soni Costume « Adafruit Industries – Makers, hackers, artists, designers and engineers! Mass Effect’s Liara T’Soni can’t be an easy costume to tackle. The asari researcher’s jumpsuit isn’t exactly simple and then there’s the matter of her blue skin and head appendages. Dressing as her requires a prosthetic headpiece and a skilled hand with makeup. 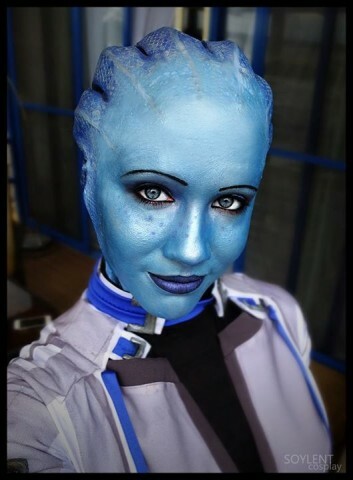 Jen of Soylent Cosplay has both of those things and made a Liara costume so good that she may as well have stepped out of the game. She documented the building of the jumpsuit and boots at Facebook and took several photos along the way. She purchased 4-way stretch blue and white fabric and 2-way stretch mesh for the gray detailing on the costume. Like she points out, gathering lots of reference material is key. 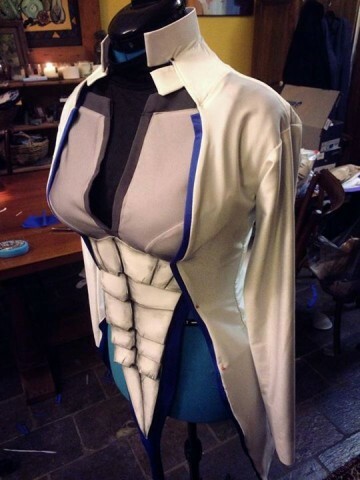 She used a pattern for the jacket and some of the armor pieces from Pillar of Dawn Studios and cut out pieces. Here’s a shot of how the stomach armor sat. Again, the original pattern gave the correct shapes. 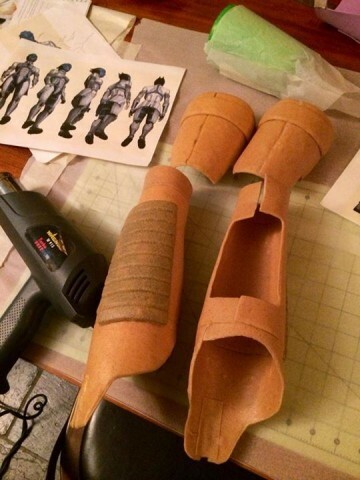 I cut them out in normal craft foam, then used rubber cement to glue the white fabric to the foam (there are really good tutorials on YouTube about it if you’re interested, especially the one by Emmabelish). I originally wanted the armor to move like a carapace, with one piece moving over the other when I moved, but this made it too bulky, so I ended up sewing them all down on the top edge and through the center. 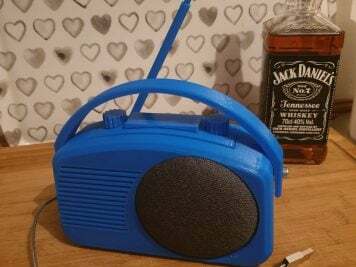 I sewed them onto a blue piece of fabric that I had measured to be about an inch wider on both sides, and with a ‘tail’ that would wrap around the back. They looked a little too plain then just like that, so I weathered them once I sewed the whole piece onto the bra, which I’ll go into on the weathering images. See more pictures from the build in this Facebook album.